Read Me Deadly: Snowed In! If I were living in the Buffalo, New York, area right now, the last thing I'd want to read is a mystery with a snow-bound theme. But I'm not living there, and when I look at those shots of houses and cars buried under several feet of the white stuff, my mind goes to stories of murder and mayhem among people trapped within walls of snow. 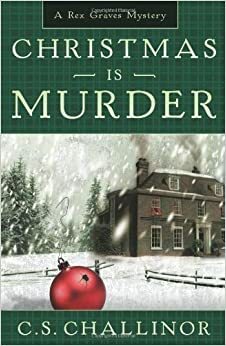 Considering that The Ref is one of my favorite Christmas movies, it's not surprising that Cyril Hare's not-at-all-in-the-Christmas-spirit An English Murder is my favorite mystery taking place at Christmas––and with a blizzard as a key character, of course. Old Lord Warbeck is dying, and he asks his relatives to come and spend his last Christmas with him at his large country house. You'll be asking yourself why, since they are a largely a nasty bunch, including a fascist––and this is 1951! Another guest is not a member of the family. A war refugee, the historian Dr. Bottwink, is at the house to research the Warbeck papers. There are some uncomfortable interactions between the Jewish Bottwink and some Warbeck family members. Lord Warbeck's son and heir is soon murdered, and the old man dies as well. Cue the snowstorm, so that police cannot get to the scene to investigate. One of the Warbecks happens to be the Chancellor of the Exchequer, though, and he has a Scotland Yard minder, Roger, who investigates, with some very unofficial assistance from Dr. Bottwink. Although the book appears, at first, to be a traditional British country house murder mystery, there are some important differences. Characters include the usual British class snobs and anti-Semites but, for once, the author isn't one of them. Hare uses the time and setting to include a eyes-open look at the unsettled state of the class system and politics in postwar England. He straightforwardly acknowledges the Holocaust, which is especially unusual considering it's only 1951. Bottwink is a visiting scholar, not a real guest, but he's the one who shows real class among this class-conscious group. 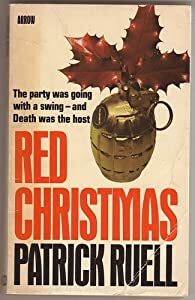 Another sardonic look at the Christmas season is Red Christmas, written by the late Reginald Hill under his Patrick Ruell pseudonym. What I like about this one (other than that Reginald Hill is just such a great writer) is that it's not just a country house mystery, it's also a bit of a spy thriller. An ill-assorted group of weekend guests descends on Dingley Dell for what promises to be a Christmas Eve straight out of Dickens. They are French, English, German and American. The intrigue begins when one guest, Arabella Allen, finds that someone is spying on her, and it quickly ratchets up when she finds a dead body. You know what comes next––the big storm that leaves the characters on their own to solve the murder mystery before the body count climbs higher. In this case, though, Arabella will also find that this gathering is a hotbed of international espionage. Reginald Hill draws his characters quickly but surely, and his plotting combines humor and tension. This lesser-known book is an entertaining choice for the season. 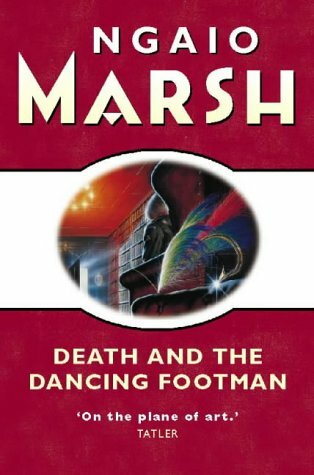 Ngaio Marsh revisited the snowed-in theme in her 11th Inspector Alleyn mystery, Death and the Dancing Footman. Be warned, though, that this is not among her very best. Wealthy, bored, Jonathan Royal decides to entertain himself by inviting six enemies to be his house guests––timed to ensure that they will be snowed in by an approaching snowstorm. He also invites a dramatist to come and observe what Royal calls an experiment in psychology. The extremely unlikeable characters can be annoying or amusing, depending on your mood. The amateur psychology is silly. The novel is two-thirds over before Alleyn is able to get there through the snow. Still, even a lesser Ngaio Marsh is good. C. S. Challinor's Christmas Is Murder: A Rex Graves Mystery finds Challinor's protagonist, a Scottish barrister, down south in East Sussex, for a Christmas vacation at Swanmere Manor. A blizzard hits as he arrives, quickly snowing in all the Manor's guests and staff. This is a modern-day spoof of your classic country house murder, with the denizens being picked off one by one, as the cordial atmosphere of cocktails, teatime and card-playing by the fire becomes increasingly fraught with suspicion. Graves is an entertaining amateur detective, we have the traditional drawing room confrontation, and it's a pleasant way to pass the time when you know that you, at least, can leave your house anytime you want. Do you have any favorite snowed-in mysteries? I love snowed-in books, especially during the winter. I'll add Stephen King's thriller, THE SHINING, in which blizzards cut off the Overlook Hotel, and creepy things ensue; Jo Nesbø's THE SNOWMAN, whose murderer can't escape because the city is snowed in; and Anne Holt's 1222, whose train passengers are trapped in a hotel by a blizzard. by Simon Brett combines puzzles, quizzes, crosswords and riddles with murders and snowy isolation. The quirky Bryant and May novel WHITE CORRIDOR by Christopher Fowler is a memorable snowstorm story, with our heroes stuck in a white-out traffic jam, racing against the clock to prevent a murder before they freeze to death. I'm a Nesbø fan, too, but I also forgot about The Snowman. I didn't forget about Anne Holt's 1222, but I didn't care much for that book.